One of the most common questions that I am asked is, “Can I eat sugar?” To answer this, I will briefly discuss sources of sugar and the evidence linking sugar to health and disease. Sugar is a natural component of foods that contain carbohydrate, such as cereals, grains, fruit, dairy products and some vegetables. It also comes in refined forms too, such as table sugar from sugar cane. You can read more about sources of sugar from my earlier post, What’s is all the fuss about sugar? 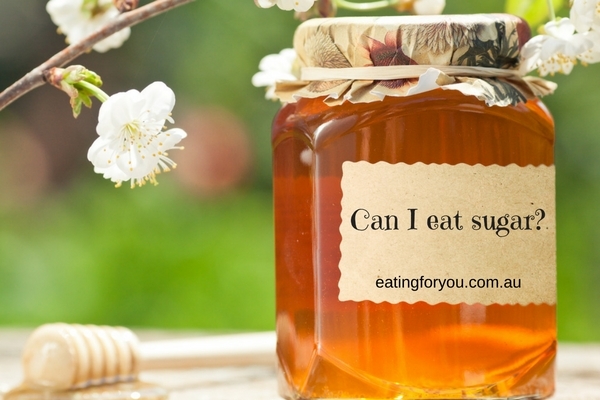 Other sugar-based sweeteners include honey, maple sugar, agave and rice malt sugar. With a current trend of avoiding fructose, rice malt sugar has risen in popularity. But is there any evidence to promote rice malt sugar over eating fruit or having some honey? In short the answer is “NO”. Current evidence encourages us to decrease all types of added sugar. When we compare the different types of sugar-based sweeteners, you can see very little difference between them. In Australia, all sugar cane is reduced to white crystals. The varying brown sugars are made by adding back some of the molasses that is extracted during the sugar refining process. The Glycemic Index is often stated as a reason to choose one sugar over another. The low GI of coconut sugar is questionable as there has only been one very small study. Agave is low due to a high fructose content. Rice malt syrup has a very high GI, containing glucose and maltose, which is made from two glucose units and maltotriose (three glucose units). Cane sugar is sucrose, which contains equal amounts of glucose and fructose. When we compare the kilojoule content of the sugars, we have to allow for difference in density. Honey is denser than sugar, so if you substitute 1 teaspoon of sugar (4g) with honey (7g), then you will consume more kilojoules. Packaged foods also contain added sugar. You might like to read my article on finding sugar in food. The strongest evidence linking sugar to poorer health outcomes is the consumption of soft drinks and weight gain. There is also evidence for poorer dental health. The largest review of evidence was undertaken for the World Health Organisation sugar guidelines. These guidelines recommend that adults have no more than 13 teaspoons of sugar a day, with some research suggesting that no more than 6 teaspoons a day would be of benefit to dental health, as discussed in my article, How many teaspoons a day? For people with diabetes, specific attention to the types of carbohydrate foods and quantities eaten throughout the day is required. You might like to read my post on type 2 diabetes. In answering the question “Can I eat sugar?, we need to assess the total quality of our eating and lifestyle choices. I the support the message to decrease added sugar to our foods and beverages. I equally support eating more fresh fruit, vegetables and pulses (lentils and legumes). I suspect that illness arises through the imbalance of eating too many refined foods and too little plant-based whole foods, and this is why it is difficult to truly have a super food or devil food. 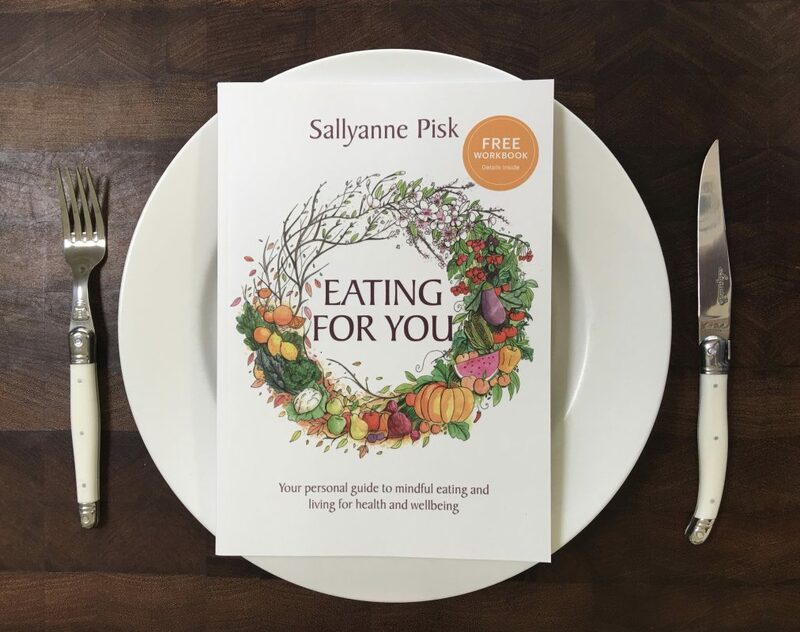 If you would like to learn more about making mindful eating and living choices, the Eating for You book provides individualised advice and support. It is now available in hard copy and as an e-book.